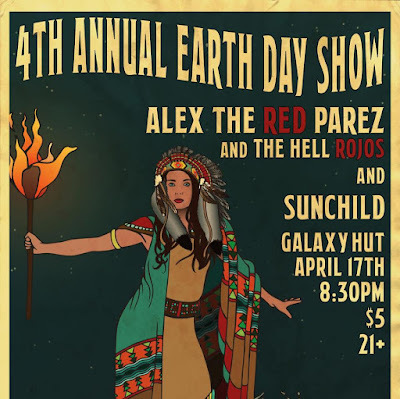 On Monday April 17 you can catch Alex The Red Parez and The Hell Rojos will be headlining at Galaxy Hut for their 4th Annual Earth Day Show. Alex Parez is one of the most active players in the local Clarendon music scene, with Alex hosting Iota's open mic night every Wed, manning the door at Iota, and playing frequently in the area. 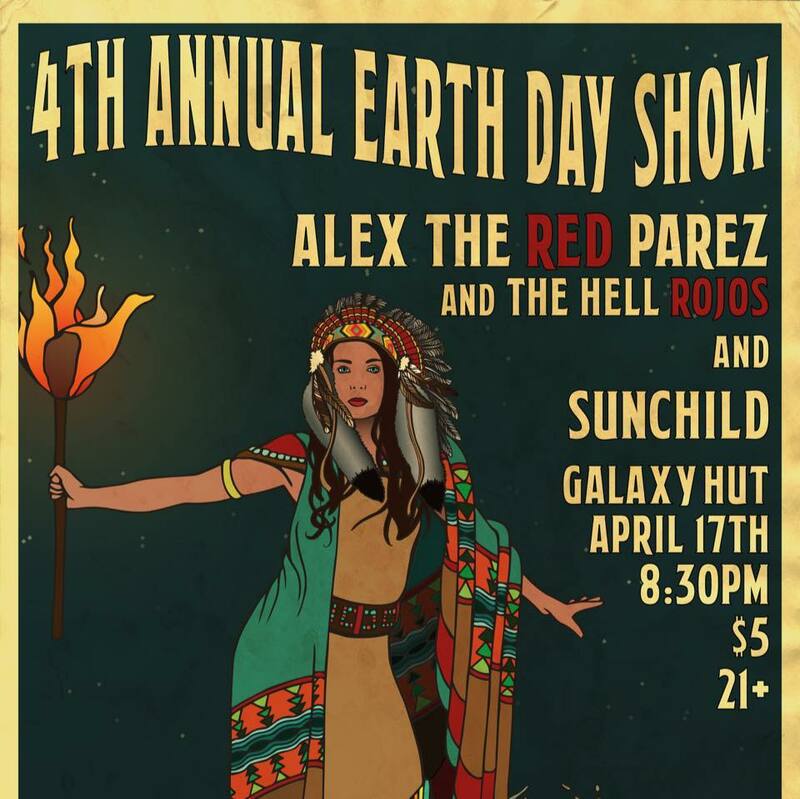 Also playing that night will be Sunchild. Music starts at 8:30pm with the usual $5 cover.